Popularly known as Sonar Quila, Jaisalmer fort dominates the skyline of the coulourful Jaisalmer city. Circumscribed by a thirty feet high wall, it is the second oldest fort of Rajasthan. Constructed I 1156 AD by the Bharti Rajput ruler, Rawal Jaisal, the fort has 99 bastions, 92 of which were built between 1633 and 1647. The deep wells dug inside the fort complex are still the regular source of drinking water in the area. Nearly one-fourth population of the old Jaisalmer resides with in the fort. 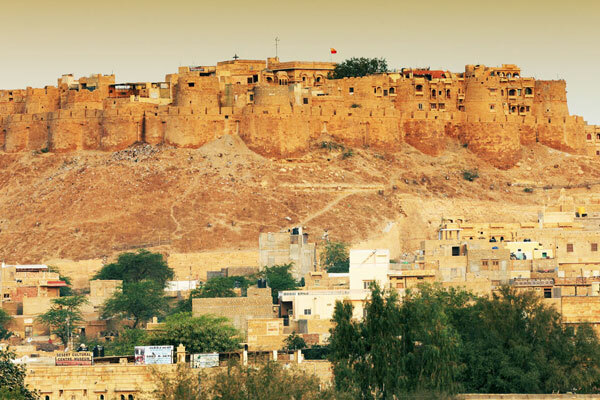 Built with yellow sandstone,Jaisalmer Fort has been the witness of many battles. The major attractions inside the fort are Raj Mahal (Royal palace), Jain Temples, Laxminath temple, four colossal gateways and exotic havelis. This rainwater fed reservoir was built in 1156 AD and rebuilt in 1367AD by Maharwal Garsisingh. It remained the major source of water in the city until 1965. Donned with an arched gateway, which is believed to have been built by a courtesan. 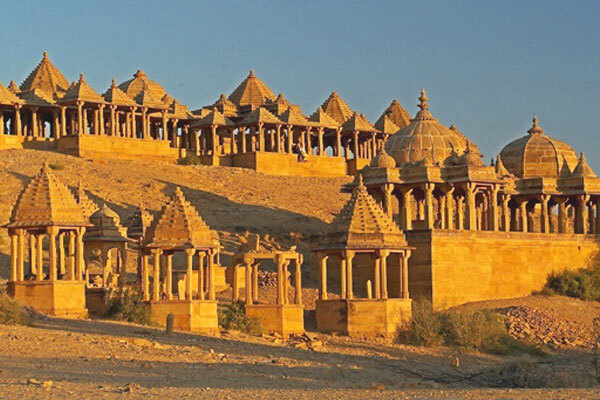 It is one of the famous picnic spots of Jaisalmer. During winter, the reservoir becomes the abode of hundreds of migratory birds. 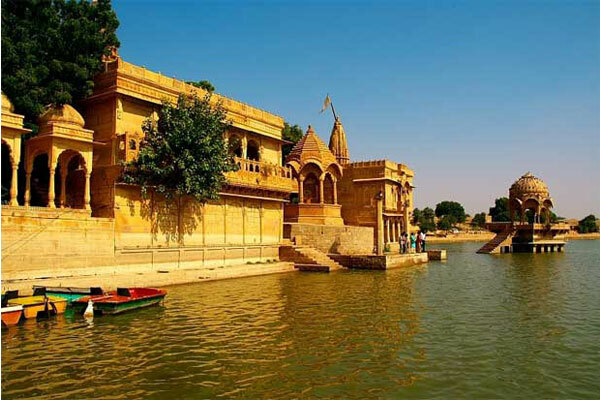 Located on the embankments of Gadsisar Lake, Bada Bagh is dotted with innumerable cenotaphs that were erected I the memory of the rulers of Jaisalmer. The area is surrounded with many trees that make it an ideal picnic spot. Baba Bagh is an oasis on the bank of Gadsisar Sagar Tank. It has greenery all around to give a much-needed relief to the local people. Near the city center is the Patwon ki Haveli, built by Guman Chand Patwa and his five sons, dealers in brocade, gold and silver embroidery with business stretching between Afghanistan and China. The five suites built between 1800 and 1860 are virtually the showpiece of Jaisalmer^s legendary architectural wealth. The carving on stone far surpasses in beauty the work on brocade and gold. The balconies are so delicately chiseled you would stand mesmerized by the splendor of it all, particularly when viewed early in the morning or in late afternoon. Oblique sunrays create enchanting and dramatic shadows, highlighting the carving and infusing a new life of its own. 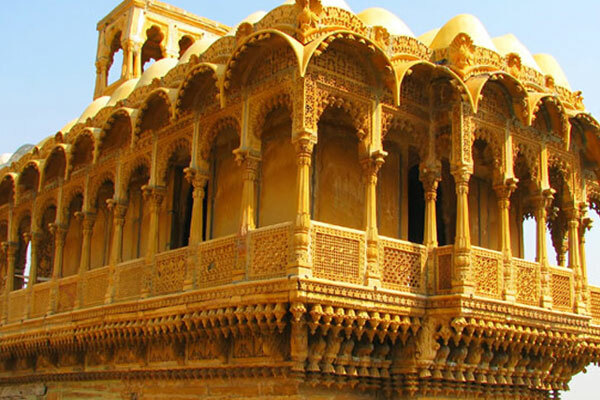 It is the grandest mansion in Jaisalmer, a veritable museum piece in the open. 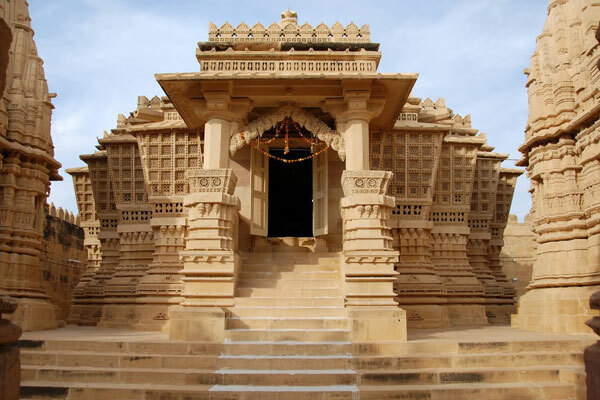 Parswanath Temple the oldest and the most beautiful of the Jain temples in the area. The walls of the sanctum are carved with animal and human figures and rising above is a tall shikhar, which is crowned by an amalak and a water pot containing a lotus flower. 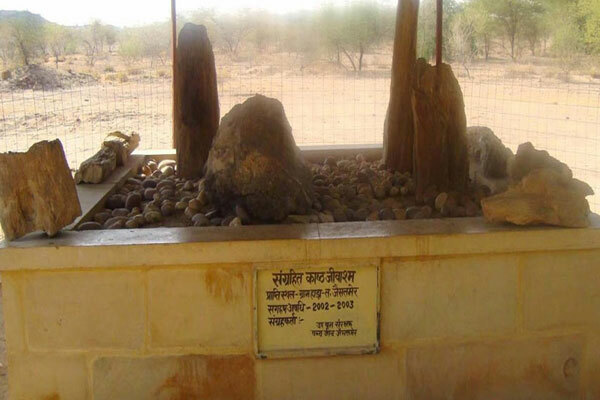 Wood Fossil Park located at Akal or Aakal 17km from Jaisalmer Lying on the Barmer Road, takes you back to the Jurassic period (when the whole Thar region lay under the sea) with 180 million year old fossils and is a very worth while spot to visit and consists of red and yellow fossilised (stone) trees.